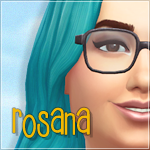 My name is Resie, some of you might know me from the Sims 2 community. I finally made it to this forum! As you can see this forum has recently been terraformed into something beautiful. I am sure that's what got you here, such a shining new place to visit! The people of the planet Hexer welcome you to this leg of the galaxy. We hope you enjoy your stay and return soon! interested in starting a trade route? I like this planet, can I build my vacation house here?